What Does it Mean When a House Is in Escrow? What Does Contract Pending Mean in Real Estate? Now that your offer has been accepted on the house you've had your eyes on, the ball starts rolling. Your real estate agent will submit the offer to the closing company as soon as possible. When this occurs, the house is said to be in escrow. At this point, the waiting game begins: In the process of escrow, many conditions and steps must be satisfactorily completed before closing can occur, and ownership of the house is transferred to you. When a house is in escrow, an agreement has been reached and the accepted offer has been sent to the closing company, which safeguards all monies and documents needed for the deal to be finalized. 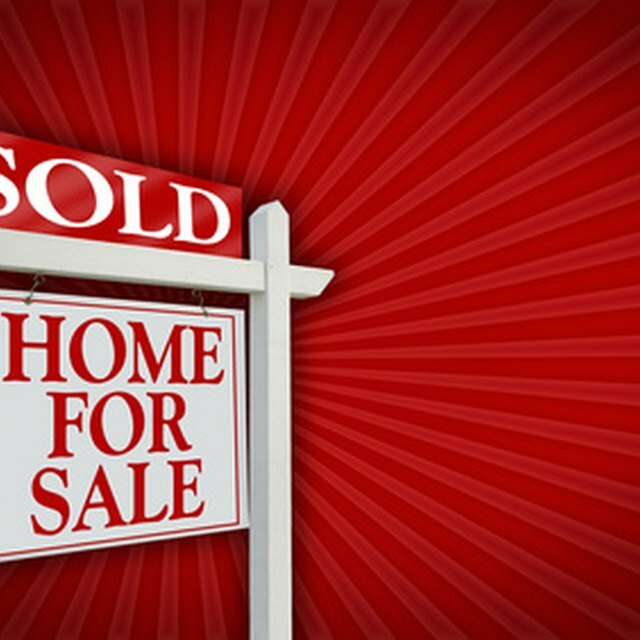 Before a home can be put in escrow, an offer must be mutually accepted on the property. Both buyer and seller must agree to all terms and conditions of the contract, such as the price, closing date, escrow company, items included in the sale and any other buyer-seller arrangements. The fully signed offer is submitted to the designated escrow company so that an escrow agent can begin working on the closing process. An escrow agent will prepare the escrow instructions based on the details of the accepted offer. These instructions aim to ensure that all items and conditions of the contract are fulfilled prior to closing on the home. Elements such as lien payoff amounts, title insurance commitments, prorated tax and insurance payments, or home warranty coverage may be items that the escrow agent handles depending on what the contract consists of. When the closing date draws near, the closing agent will prepare a HUD-1 Settlement Sheet, which lists the debits and credits for both the buyer and the seller. For instance, the seller may owe back taxes on the property to be paid out of the funds of the sale. These will be listed as a "debit" to the seller. Additionally, the buyer may have already deposited a large amount of earnest money when the offer was accepted. This can be listed as a "credit" to the buyer. When all conditions of the contract are fulfilled, the escrow officer will prepare the closing documents, such as the loan paperwork and transfer of deed forms. Additionally, both the buyer and seller are contacted and advised on how much money to bring in to closing, or how much is due. When all the necessary paperwork is signed and the loan is funded, the escrow officer will notify the county recorders office so that the transfer of ownership can be official.